On May 17, 2016, PPP Chairman Bilawal Bhutto Zardari presided over a meeting of the party’s newly formed Sindh Coordination Committee at the Bilawal House in Karachi. 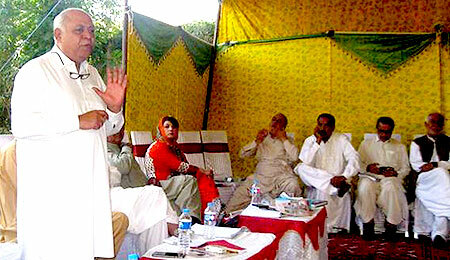 He asserted that the participation of women, minorities and youth was integral throughout the party’s reorganisation process.1 This reorganisation process commenced last month after the media cell of the PPP released an official notification on April 13, 2016 announcing the dissolution of all bodies of the parties down to the district level. These organisations were consequently replaced with five-member provincial organising committees for each province. What in your understanding are the PPP’s core goals? How far has the party come in reaching these milestones? How can the PPP retain its fundamental values while responding to emerging challenges? What are the principal challenges the party faces today, what are the key challenges the country faces as well? How in your view can the party’s organisational structure at different levels be improved? How can the internal and external communication of the party be made more effective? PILDAT commends the initiative taken by the Chairman PPP Bilawal Bhutto Zardari with regards to the reorganisation of PPP and the measures it has undertaken to institutionalise and improve the functioning of the party. However, currently, the constitutions of PPP and PPP-P are both inadequate documents that cannot account for its intra-party structures and procedures. It should be noted that relevant provisions in the party constitution regarding such procedures would have aided the party in this endeavour had there been more structure and clarity in the constitution. No convenor or head of the provincial coordination committee has been nominated. It is therefore not clear who among the committee will take initiative to organize meetings and to record minutes etc. On May 6, 2016, the National Accountability Bureau (NAB) recovered local and foreign currency along with gold from the residence of the Balochistan’s former Finance Secretary, Mr. Mushtaq Raisani. As per media reports, Mr. Raisani has been accused of embezzlement of billions of rupees from the national exchequer and misuse of authority. Moreover, NAB also issued three summonses to the Balochistan Finance Advisor, Mr. Khalid Langove..5 Mr. Khalid Langove immediately submitted his resignation and presented himself for accountability. In light of this news, on May 15, 2016, President of the National Party (NP), Senator Mir Hasil Khan Bizenjo, Federal Minister for Ports and Shipping, announced formation of an accountability committee within the party at a press conference in Quetta. A meeting of the party’s Central Committee had taken place on the same day wherein it was decided that the assets of all parliamentarians of NP would be made public. The President of the NP iterated that this was the first time the party was facing charges of corruption.6 Moreover, as per media reports, Balochistan’s Former Chief Minister Dr. Abdul Malik Baloch also presented himself for accountability since he was serving as the Chief Minister of the province when this alleged corruption was carried out. PILDAT spoke to National Party’s Secretary General of Rawalpindi District, Mr. Abdullah Dayo, who informed that a 3-member accountability committee, headed by Dr. Abdul Malik Baloch, had been formed that also included Mir Tahir Bizenjo, Senior Vice President of NP and Jan Buledi. Mr. Dayo explained that the party already had an established tradition of requiring their parliamentarians to submit a summary of their assets to the party’s Central Secretariat every year. However, with the formation of this accountability committee, all members of the party can submit an application if they carry knowledge about any member, be it lawmaker or not, who may be involved in any corrupt or illegal activity. Members can submit applications either in their name or anonymously. On January 15, 2016, Pakistan Tehreek-e-Insaf (PTI) Chairman Imran Khan had stated that the party’s intra-party elections would be completed before April 25, 2016. 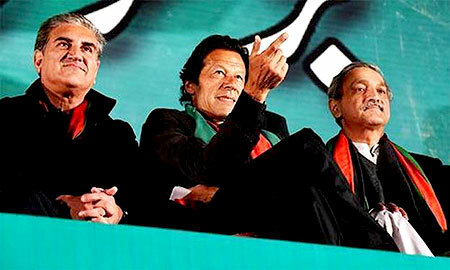 On April 11, 2016, PTI Chairman Imran Khan had announced that the party’s intra-party elections had been postponed in view of the circumstances created by the leaks of the Panama papers. Prior to the announcement of the postponement of intra-party elections, PTI’s former Central Organiser Mr. Jahangir Khan Tareen had announced his withdrawal from playing any part in the intra-party elections. Mr. Tareen’s decision came when the party’s former National Organiser Mr. Shah Mehmood Qureshi had addressed a Punjab Workers’ Convention in Lahore and had announced his support for PTI MNA Mr. Shafqat Mahmood for the post of PTI Punjab President. The party’s internal conflicts and challenges came to the forefront when Mr. Qureshi had openly criticised his fellow party leaders Mr. Jahangir Khan Tareen and Chaudhry Muhammad Sarwar for creating rifts within the party. And on June 21, 2016, according to official notifications posted on PTI website, PTI Chairman Imran Khan appointed Mr. Jahangir Khan Tareen as the Secretary General of the party and Mr. Shah Mehmood Qureshi as the Vice-Chairman of the party. It may not be wrong to say now that the PTI has officially failed in its endeavour to hold intra-party elections, as the postponement seems to be for an indefinite period of time or at least until after the General Election due in May 2018. The saga of PTI intra-party elections had started soon after the party had held its first elections in March 2013 followed by the verdict of the election tribunal exercise in October 2014, dissolution of all elected bodies in March 2015, formation of an interim-party structure with the same office-bearers in the same month and constitution of an independent election commission for intra-party election, formulation of new election rules in September 2015 under the leadership of Mr. Tasneem Noorani, membership drives, training of election coordinators, formulation of an election procedure and the election schedule and then resignation of Mr. Tasneem Noorani in March 2016. The democratic credentials of the party has taken more than a few knocks.